Ranjit Gunewardane brings unique cross border experience and a broad range of multi-disciplinary skills to play in advising clients on all aspects of M&E but also Architecture, Interior Design and Landscape Architecture of hotels and resorts. Recently, and notably, Ranjit used his creative problem solving skills to redesign an extensive mechanical and electrical engineering system that did not conform to the original design concept and did not function as a whole. This was in two prestigious super luxury hotels (in excess of 700,000 M² site area) in the Middle East. Ranjit used his proprietary quality assurance process to ensure the re-configured systems worked with each other in harmony. He uses the same process to develop Property Improvement Plans to improve performance, curtail costs and provide a more comfortable guest experience. Ranjit has a very good understanding of the key distinctions amongst the different types of hotels which are crucial to planning and designing a successful project. He has extensive experience in providing specialized hotel information, design and new concepts. He has a proven record of providing additional design information and guidance, including technical and engineering guidelines, circulation flows, special systems layouts such as kitchens and laundries, and staffing requirements (offices and employee back-of-house areas) affecting the design and budget. Managing the coordination and review aspect of projects through all phases of design from initial program and concepts to final documentation, to field inspection and witnessing acceptance (entire project life cycle) to ensure that the operator, owner/developers needs are fully met is a strong trait of his expertise. All projects are considered from first principles and integrate a broad range of cross-discipline professionals including Architecture, Interior Design, Landscape Architecture, Mechanical and Electrical Engineering design and resource management in assisting the hotel owner with vision and value by maximizing the foot print through study of patterns and vital considerations such as traffic flows and space management. Ranjit’s multidiscipline and international experience is paying dividends in a constantly changing environment with new technology and legislation being introduced to improve safety and service standards. 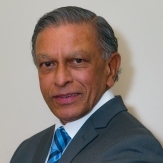 With over 35 years of experience as an hotelier, Ranjit Gunewardane has worked with luxury hotel brands InterContinental Hotels Group and Kempinski developing designs for luxury hotels and Royal Guest Palaces in Asia, Middle East and Africa, through innovation, creativity and change. He has worked with passion and flare throughout his 35 years’ experience in the hotel industry, whether as Area Director of Engineering, Middle East and Africa with InterContinental Hotels Group (IHG) or Executive Director of Engineering with Kempinski. Whilst responsible for the Facility Management activities of 64 IHG-managed hotels and eight Royal Guest Palaces in the Middle East and Africa region, he ensured the efficient operation and maintenance of the assets by applying state-of-the art Planned Preventive Maintenance programs and providing exceptional guidance on standards of Fire and Life Safety. The benefits of a detailed, comprehensive Energy Management and Conservation program implemented in all properties were many and included commendable savings, reduced capital costs from economies of scale, and increased environmental benefits. He was registered a Chartered Engineer by The Engineering Council, United Kingdom in July 1989, and thereafter made a Fellow of the Institution of Mechanical Engineers, United Kingdom in October 1999 (C.Eng.F.I.Mech.E). He is an active member of the Construction Specification Institute, USA, American Society of Heating Refrigeration and Air-Conditioning Engineers, USA, National Fire Protection Association, USA, and the Association of Energy Engineers, USA.